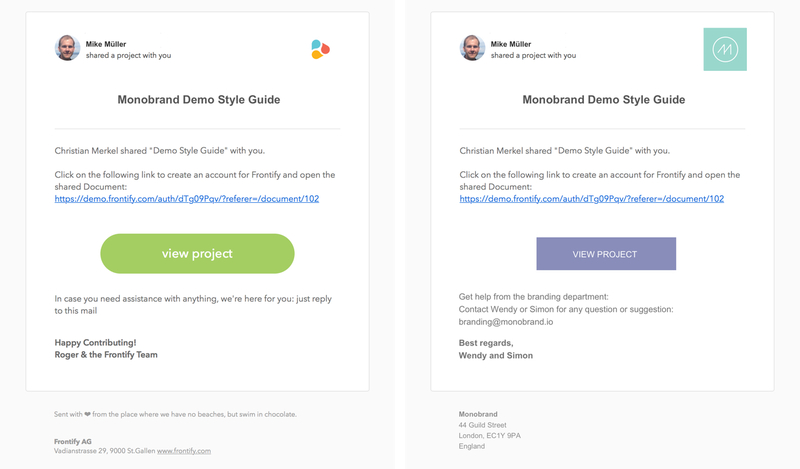 Customise Frontify e-mail templates and make them look like they come from the brand team. 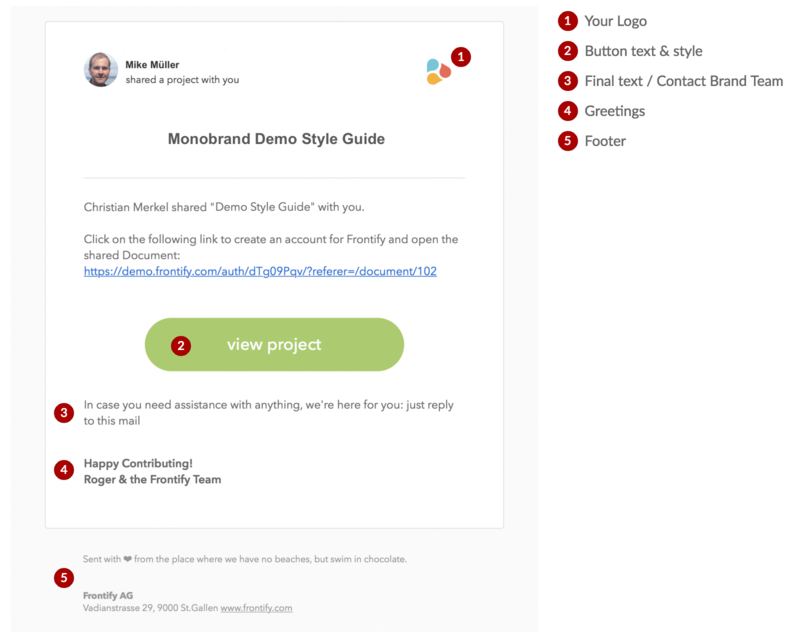 Frontify frequently sends out e-mails to your users. Some of them are essential (such as invitations to the platform) others are optional (e.g. 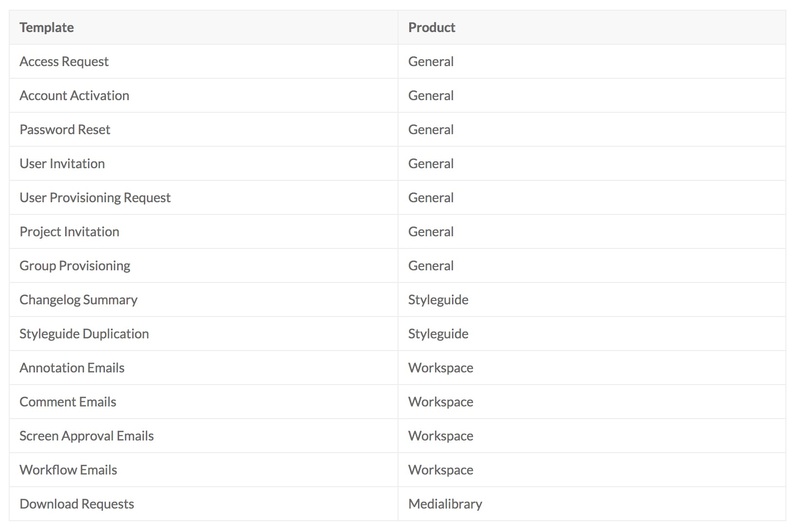 changes in workspace projects) and configurable individually. Additionally, you can provide a "Reply-To" name and email address that are used when user reply to these emails. Customised e-mails templates is possible only in Enterprise plans. To get you started, just contact your dedicated Frontify Customer Success Manager.